This blog post contains edited excerpts from our free whitepaper: Getting Started with Conversion Rate Optimization. Download the full guide for even more real-world examples, tools, and advice on optimizing your website, blog, and landing pages. There’s a lot of time, energy, and money being spent in the online marketing world right now. Whether you’re using SEO, social media marketing, display ads or paid search, the goal is usually to drive traffic back to your company’s website. But for marketers under pressure to prove the ROI of their efforts, traffic just isn’t enough. Although leads and customers are more valuable to a business, many marketers fall into the trap of focusing on increasing traffic, while ignoring some of the simple steps they can take to increase conversions among existing site visitors. Conversion rate optimization (CRO) is exactly what it sounds like: the process of making incremental improvements to your website in an effort in increase your conversion rate. CRO is grounded in data driven decision making; through careful site analysis and testing, you can find the optimal mix of elements to maximize conversions. If you’re not already convinced that CRO is important, did you know that on average 98% of your total website visitors will never return? You’ve already done the hard work of getting consumers to your site, don’t waste the opportunity to convert them — you might not get another! If you’re serious about increasing your conversion rate, one of the first things you need to do is identify the problem areas on your site. 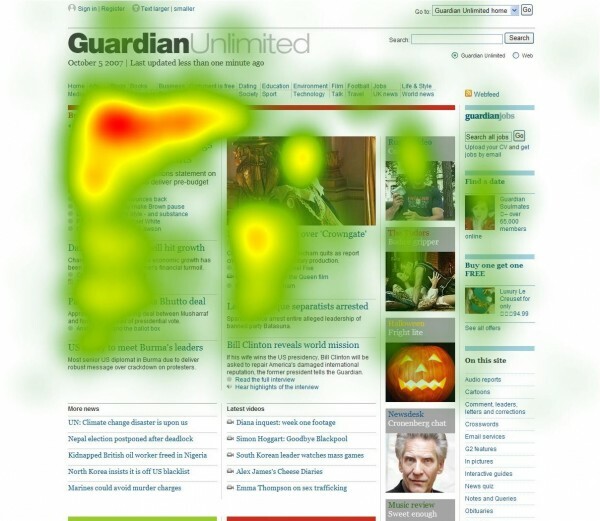 This can be done by using analytics, heat mapping, and survey tools to determine where visitors are losing interest, and which pages will need the most attention going forward. After all, how can you make improvements to your site until you know what the problems are? To better understand how your audience is interacting with your site, be sure to create a Google Analytics account. Exploring the “Site Content” section will give you key stats for each page on your website, like total pageviews and the average time spent on a page. For CRO purposes, two of the most important metrics to pay attention to are the bounce rate and exit rate. The bounce rate is the percentage of visitors who come to your site through a page, and then leave without exploring any other pages. The exit rate is the percentage of visitors who exit the site after viewing a specific page. For example, if you have 100 visitors to a product page, and 50 of them leave your site without navigating to another page, this product page has a 50% exit rate. Another important section within Google Analytics is “Conversions.” Once you define the goals you want site visitors to reach (such as signing up for a webinar or making a purchase), Analytics can accurately measure your conversion rate. You should also set up a funnel, outlining the path through your site you expect visitors to take before completing your goal. This allows Analytics to track where visitors enter and exit a path. If a high volume of traffic is leaving the funnel at a specific page before completing the goal, this indicates a problem with that page. You may also find visitors skipping steps, revealing opportunities to streamline or restructure your funnel. If you’re trying to uncover what’s holding your site visitors back from converting, don’t forget that you can always ask them. Survey tools like Qaularoo let you easily incorporate surveys into your website. These short, on-page surveys gather feedback from site visitors who haven’t converted (yet), giving you the opportunity to find out why. Asking visitors design and usability questions while they’re actually using your site can uncover valuable insights to help you increase conversions. Remember that you don’t have to make all of your changes at once! Prioritize which issues or pages are most important, than come up with solutions for your top-priority problems and start testing. You’ll know what the problems are after conducting an audit of your company’s site, but are you sure you know the best ways to fix them? Conversion rate optimization is all about making intelligent changes guides by data and real user experience. While gut feelings can help guide your solution, think about testing as a way of letting consumers ‘vote’ for the solution they like best. But instead of voting in a hypothetical survey, you’ll be able to see which site improvements are winners by monitoring real changes to your conversion rate. There are two common types of testing: A/B and multivariate. A/B testing, also called split testing, tests just one variable at a time. 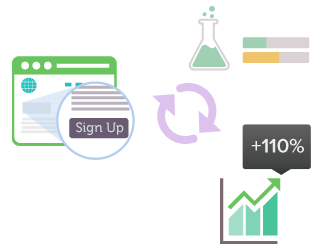 A/B testing is like performing an experiment with a control and a treatment. To ensure your results are accurate, both options should be exactly the same aside from the one variable being tested. A/B is the more commonly used type of testing among marketers, and is the method that Neil Patel found to be more beneficial from his own experience with CRO. 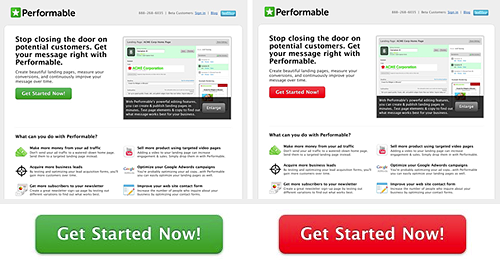 HubSpot ran an A/B test to determine the optimal colour of a call to action button. They created a landing page with a green button, and an identical one with a red button. The result? The page with the red button had 21% more conversions than the green page! Multivariate testing is similar to A/B testing, but tests more than one variable at a time. You can think of it as conducting numerous of A/B tests all at once. Multivariate testing lets you see which changes perform best on their own, as well as how combining different elements can lead to increased conversion rates. The downside is that multivariate testing is more complex and requires a high volume of traffic to produce accurate results, so it won’t be the right choice for all marketers. Pardot has created an awesome infographic illustrating how marketers use multivariate testing in their decision making. Testing which changes to your site result in better conversion rates is crucial to CRO, but don’t forget to use common sense. Implementing general site improvements, like reducing page loading times, will always help your conversion rate so there’s no point testing whether or not a faster site makes for a better customer experience. Unfortunately, there’s no single “right way” to optimize a website. But while our guide can’t offer you a magic CRO solution, it can provide you with a number of ideas to get you thinking about what might work best on your own site! No one wants to spend time hunting around a website for the right information, so if the product or service your company provides isn’t clear from the start, chances are visitors aren’t going to stick around. Updating the copy on your website to make it clear, concise, and consumer-focused can help increase conversion rates. Reducing clutter on a page will also help site visitors focus in on the most important points. Taking out unnecessary text and images will reduce distractions and confusion over where to click next. 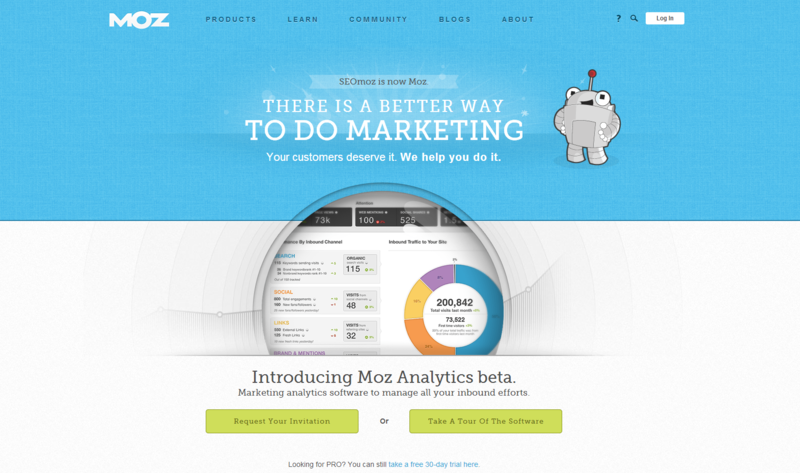 For instance, Moz’s simple homepage design makes their website user-friendly and easy to navigate. A call to action button prompts site visitors to click in order to complete a specific action. Calls to action (CTAs) move visitors further along the buying process, and can range from asking an anonymous site visitor to download an eBook, to asking an online shopper to “Check Out Now.” Always make sure that your CTAs are relevant to the information on the page. While some people like discovering a new product before it catches on, most consumers would rather have the reassurance of knowing other people have already purchased the product or service they’re considering. There are a number of ways you can incorporate social proof into your website, in order to make visitors feel more comfortable converting. Online apparel and home accessories retailer ModCloth allows their customers to rate items out of 5 stars, click a “Love It” button to mark their approval, as well as leave written reviews. The average star rating and number of reviews is displayed in each product description, allowing consumers to quickly feel confident in their decision to purchase a product. Consult feedback gathered from current customers and on-site surveys to better understand what perceived risks are involved in converting on your website. Once you understand what they are, mitigating these risks will help boost your conversion rate. If you want learn more about CRO and find out how to optimize your blog for conversions, CRO best practices for landing pages, and 16 different landing page components to test out, download the complete conversion rate optimization guide.